﻿ Best Price on Arenal Oasis Eco Lodge & Wildlife Refuge in La Fortuna + Reviews! 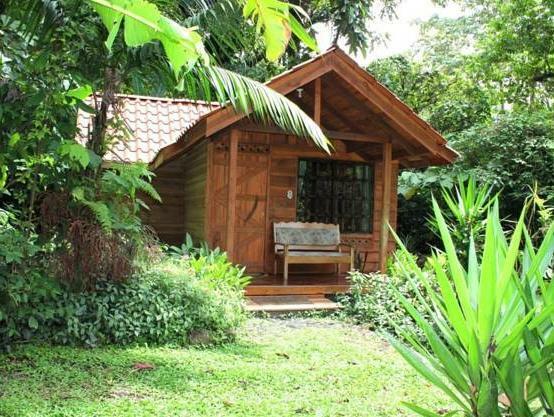 This eco lodge is located 0.6 mi from the Arenal Volcano and 1.2 mi from hot springs. It features an extensive garden, tours and outdoor activities arrangement and free Wi-Fi throughout. The bungalows and cottages offer rustic décor, a desk, fan, wardrobe, wooden floors and a fridge. The bathrooms are private and come with bath, shower, hairdryer and toiletries. All accommodations feature garden and volcano views. Arenal Oasis Eco Lodge & Wildlife Refuge has an on-site restaurant serving local dishes and regional cuisine. Guests at this lodge can arrange activities as hiking to the Arenal Volcano, horseback riding, bird watching, rafting and night trek. There are also visits to the La Fortuna Waterfalls and River. This property is 1.9 mi from a bus station and from La Fortuna de San Carlos Town Center. Ciudad Quesada City Center is a 1-hour drive away and Juan Santamaría International Airport is 2 hours’ drive away. Please note that the reception is closed from 21:00 hours until 7:00 hours of the next day. Guests arriving outside reception opening hours are kindly requested to inform the hotel in advance. Contact details can be found on the booking confirmation. Please inform Arenal Oasis Eco Lodge & Wildlife Refuge of your expected arrival time in advance. You can use the Special Requests box when booking, or contact the property directly using the contact details in your confirmation.